Tommy LaVergne attended Texas A&M University and Sam Houston State University and completed an Associate Degree in Photography from the Art Institute of Houston in 1986. For the last 23 years, he has been the University Photographer for Rice University in Houston. His assignments, many of which have been for Rice, have given him the opportunity to photograph an extremely diverse group of dignitaries and educators, including five United States Presidents: Nixon, Ford, Carter, Bush, and Clinton, as well as Henry Kissinger, John Connally, James A. Baker III, Colin Powell, Vladimir Putin, Mikhail Gorbachev, Helmut Kohl, Madeline Albright, Yassar Arafat and U.N. Secretary Kafi Annan. His photographs have been published in Newsweek, The Chronicle of Higher Education, Smithsonian Magazine, Texas Monthly, Texas Highways, The Houston Post, The Houston Chronicle, Exxon Travel, and Science Magazine. The majority of his work appears in Rice publications and its Alumni magazine: SALLYPORT. 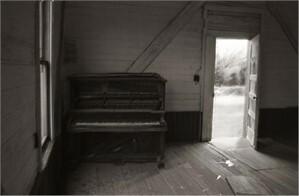 In 2004, his first monograph titled Roads to Forgotten Texas was published with accompanying poetry by Joyce Pounds Hardy. He has exhibited in various galleries inTexas, as well as the Rice Media Center. 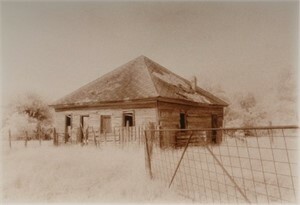 His work was recently added to the permanent photography collection at the Museum of Fine Arts Houston.